Almost everyone has a Mandela story or photograph with the iconic statesman, who drew a fractured country together around him. We want to hear those stories and see those photographs as we celebrate one of the world's greatest leaders. Fill in the form below and share your Mandela experience. We are the richer for having lived during your tenure on earth. Many more ha pay returns Madiba. We may never see your kind any time soon. long live Madiba, you are a true icon!!!! if it wasn't for this oldman we wouldn't be a whole nation.The fact that he didn't care about money,he even offered to pay mine workers with his own money was humbling.I just wish our current president or future president would learn from the oldman.Salute tata. happy bairthday nkonde. if it wasnt for you, your influence and those you worked with for the liberation of this country i wouldnt b esending an email by now. but since this is an idea you were prepared to die you still alive the almighty / your creator has been with you this far. siyabulela Tata. I REMEMBER IT AS VIVIDLY AS IF IT HAPPENED YESTERDAY. I SAT ON MY BED AT ST IGNATIUS COLLEGE LISTENING TO THE LIVE RADIO COMMENTARY OF HIS RELEASE FROM PRISON WITH TEARS STREAMING FROM MY EYES. TEARS OF JOY FOR A MAN I HAD NEVER MET BUT WITH WHOM I IDENTIFIED WITH COMPLETELY. HAPPY BIRTHDAY MADIBA AND THANK YOU!!!! Bawo uMadiba, akukho mini ithe tha-a- nje ngemini owaphuma ngayo ejele laza lonke ilizwe ingengoMzantsi Afrika kuphela owaba nokukubona unyalasa, uthe qhiwu umama uNomzamo. Okwesibini xa umama uSisulu ekonyula nje ngeNkokheli yelizwe yokuqala emnyama, yaza iPalamente yaphakama isitsho ngohlwa-hlwa-hlwa wemincili, naleyo ithe tha kakhulu kum naselizweni. Lastly, I thank the Almighty God for allowing you such many more years after 27 yrs of imprisonment in order to enjoy the fruits of your dream of seeing a better future for all. You are not getting old TATA, count your age with the number of smile you put in your face. Happy Birthday Mkhulu MADIBA! 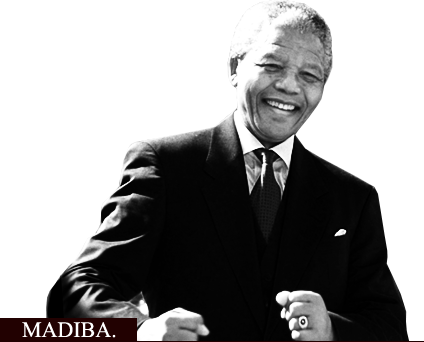 Thank you for a liberation Madiba, today we are celebrating your born day with pride. Happy birthday Tata see many more days Madiba.